Strada Rossa VI: Patches, patches, come get your patches!!! 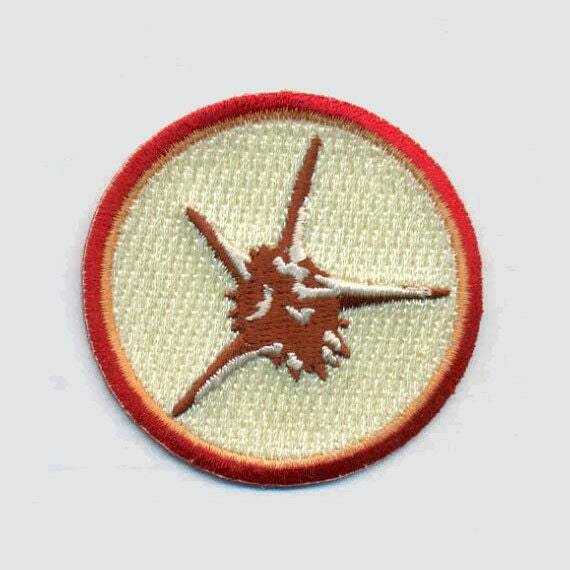 Some of us, who will remain nameless, love ride patches. Can't get enough of 'em. Small, inexpensive, memorable, what's not to like!!! 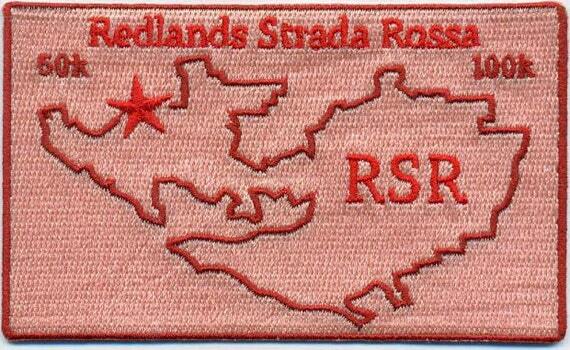 Below is the commemorative patch for the Redlands Strada Rossa. It is designed by friend and RSR participant Philip who is selling them pre-order through his Etsy store. Made by Walter at Falls Creek Outfitters. Good people involved in this, all the way around!!! Please take a moment to look at them, and I would encourage you to purchase! Philip will be bringing them down on the day of the event, and mailing to those who cannot make it. $5 investment in something unique and handmade! In addition, he also made up the +3 Goathead Talisman of Power. Be sure to get one of these to ward off any unfortunate happenings whilst on the RSR or elsewhere on your travels! You can never be too safe!!! If you are wondering how these will look IRL, take a look at one of the previous patches he did for last year's Entmoot at China Camp. No messing around with this guy! is it really pink? I'm not a patch kinda guy but the goathead one looks interesting. I think so. Rossa = redish pinkish. Get it! They're both worth having for the memories! Have these patches been made already? If not, adding a "2015" in the bottom left corner would be nice. The patches are poised to go. Two reasons we didn't put the year on (after much back and forth): 1. Presales. 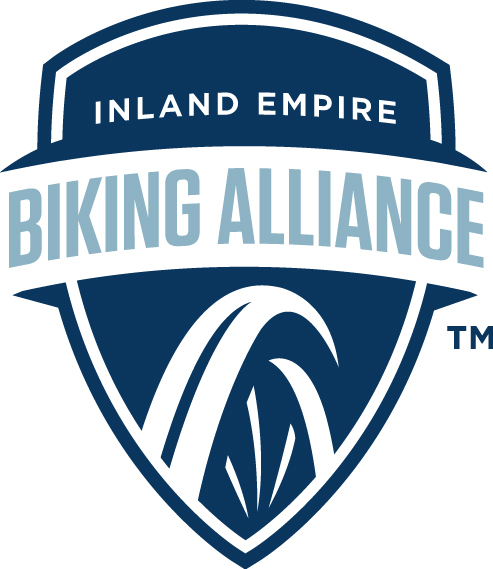 We don't want to have a stack of "collectible" patches after the ride. 2. No patches last year. If you want a patch to commemorate last year's ride, these totally work for that. And yes, the patches are a solid manly pink.